BELLFLOWER – Bellflower High School co-valedictorian Yvette Valtierra encouraged her Class of 2017 classmates on June 14 to use lessons learned at school and their ongoing pursuit of education to bring social change and make a positive impact on their community and the environment. Valtierra shared her remarks during a commencement ceremony recognizing 358 graduating seniors – all clad in dark red gowns with golden embellishments – who accepted long-anticipated diplomas in front of more than 4,000 families, friends and educators. “Every person graduating here has the power to make a difference in our world. Our graduation is not a moment, but a movement,” Valtierra said. Co-valedictorian Oscar Macias expanded on her theme. Valtierra and Macias both intend to pursue careers in medicine. Valtierra completed advanced placement (AP) and honors courses, was a member of the National Honors Society and ASB and is an active volunteer for the city of Bellflower. She will study biology at UCLA en route to becoming a pediatrician. “I want to thank my parents for bringing me to where I am. They have endured so much for me to pursue school and follow my dreams, and I won’t stop until I make you proud and graduate from medical school,” Valtierra said. Macias excelled in eight AP classes. He will attend UCI, also to major in biology, with an eye on a career in medicine. The ceremony began with fireworks erupting in the sky as representatives of the U.S. Marine Corps presented the American flag and a Bellflower High School ensemble group performed the National Anthem. An atmosphere of celebration and togetherness was highlighted with the ensemble’s a capella rendition of “Lean on Me,” which had graduating seniors swaying, clapping along and embracing through the smiles and tears. 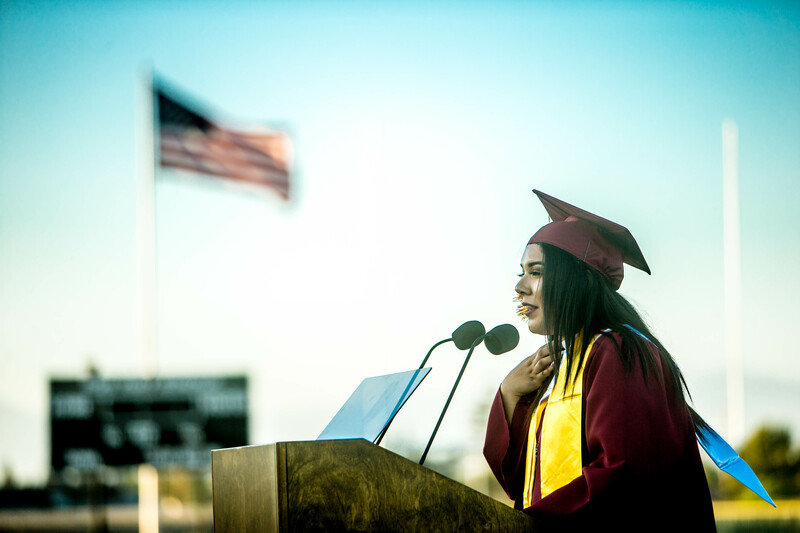 Senior Class President Magnolia Sandoval spoke about her experiences at Bellflower and the lasting friendships she made, before concluding with wishes of success and prosperity for the future. Before diplomas were awarded, students graduating with academic honors were recognized and applauded. In total, 13 students received highest academic honors with GPAs of 4.0 or higher, 32 earned high academic honors with GPAs of 3.5 to 3.99 and 64 were recognized for academic honors with GPAs of 3.0 to 3.49. 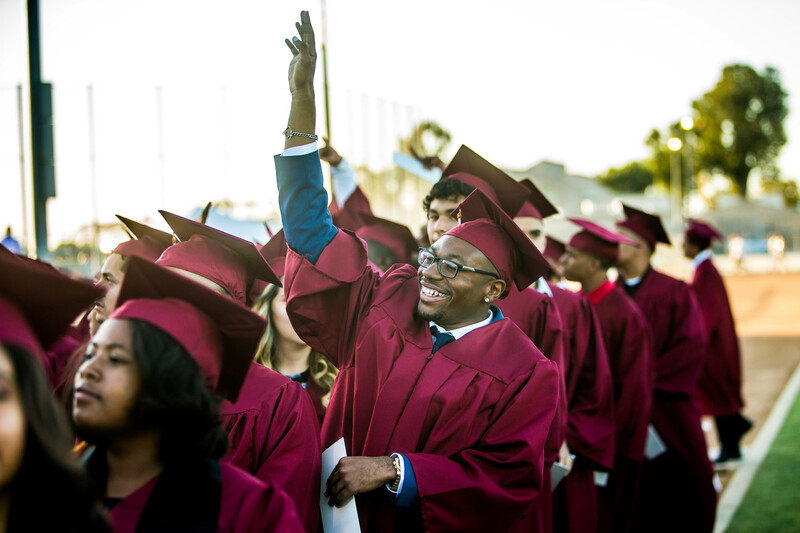 BELLFLOWER_BHSGRAD_1: Bellflower High School held its commencement ceremony on June 14, honoring 358 graduates eager to begin college and careers. BELLFLOWER_BHSGRAD_2: Bellflower High School graduating seniors flipped their tassels and celebrated their academic endeavors during a June 14 ceremony. BELLFLOWER_BHSGRAD_3: Bellflower High School’s class of 2017 graduates display diplomas during their June 14 commencement. BELLFLOWER_BHSGRAD_4: Bellflower High School’s ensemble choir perform an a capella version of “Lean on Me” to kick off the June 14 graduation ceremony at Ron Yary Stadium. 061417_BELLFLOWER_BHSGRAD_5: Co-valedictorians and salutatorian from Bellflower High School celebrated with speeches of perseverance, dedication and hope for the future during their commencement ceremony on June 14. 061417_BELLFLOWER_BHSGRAD_6: Bellflower High School’s class of 2017 were welcomed by more than 1,000 family members, friends and educators during their June 14 graduation. 061417_BELLFLOWER_BHSGRAD_7: Bellflower High School graduated 358 seniors during its June 14 commencement. More than 109 graduates were recognized for achieving academic honors with GPAs of 3.0 and higher. 061417_BELLFLOWER_BHSGRAD_8: Bellflower High School graduates celebrate their final moments on campus at Ron Yary Stadium during the June 14 commencement. Bellflower High School’s class of 2017 graduates display diplomas during their June 14 commencement. 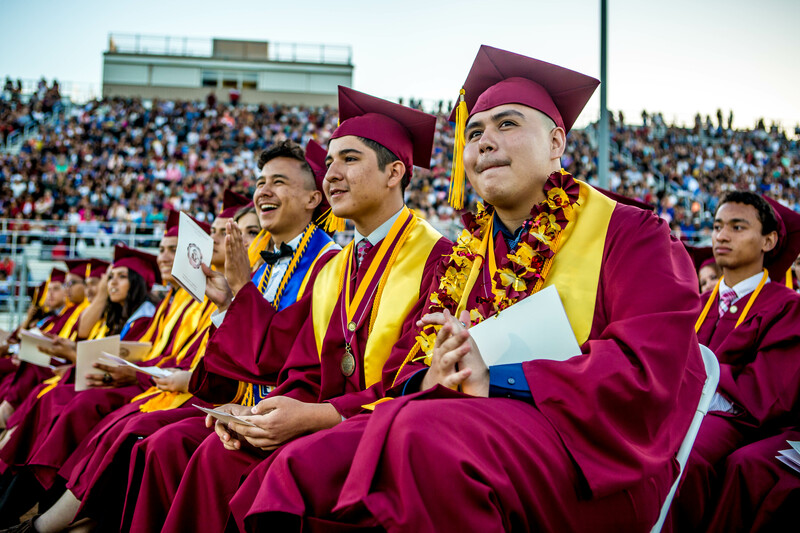 Bellflower High School graduating seniors flipped their tassels and celebrated their academic endeavors during a June 14 ceremony. 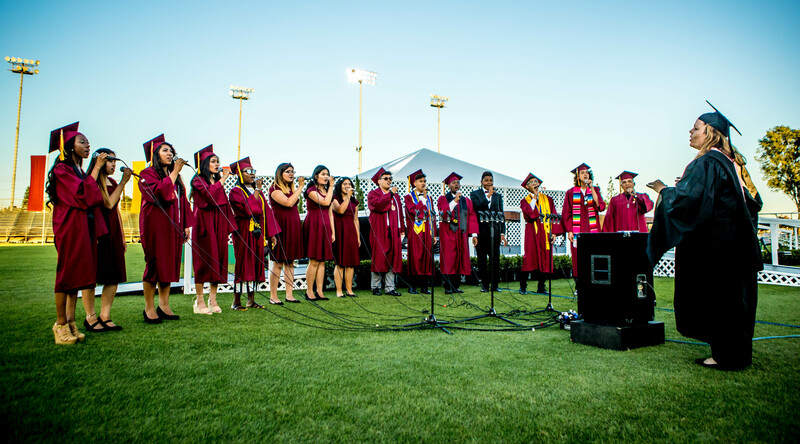 Bellflower High School’s ensemble choir perform an a capella version of “Lean on Me” to kick off the June 14 graduation ceremony at Ron Yary Stadium. 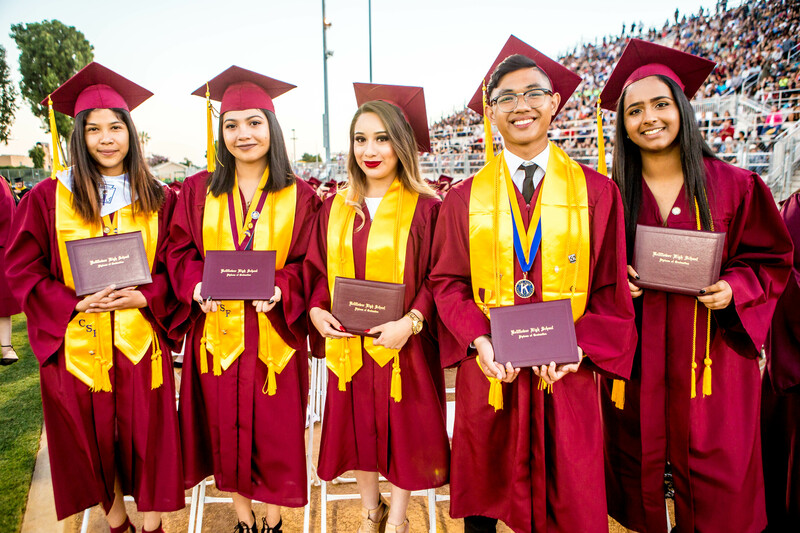 Co-valedictorians and salutatorian from Bellflower High School celebrated with speeches of perseverance, dedication and hope for the future during their commencement ceremony on June 14. 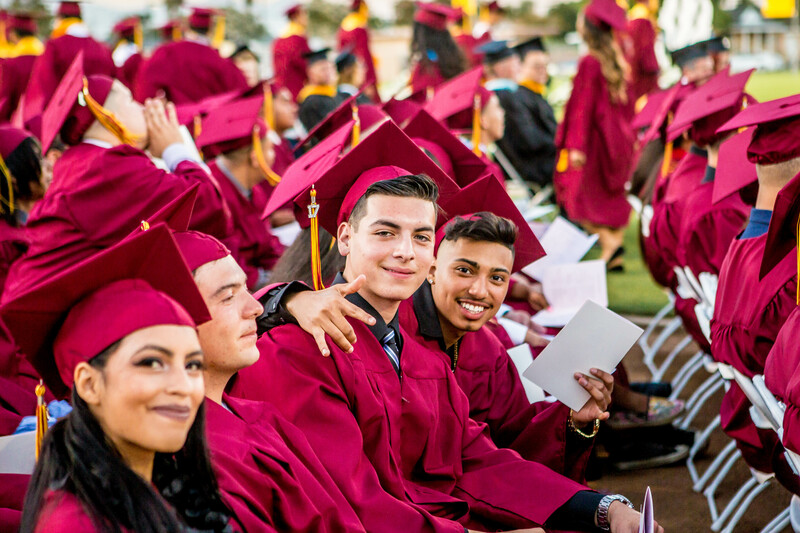 Bellflower High School’s class of 2017 were welcomed by more than 1,000 family members, friends and educators during their June 14 graduation. 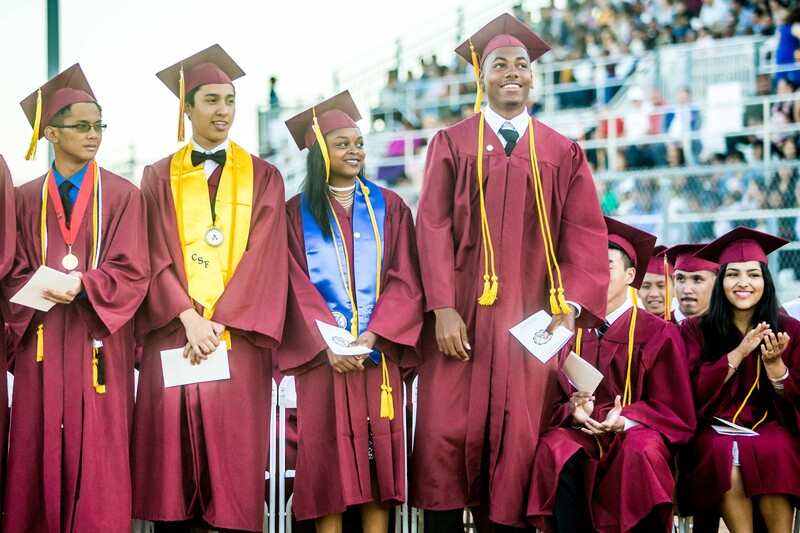 Bellflower High School graduated 358 seniors during its June 14 commencement. More than 109 graduates were recognized for achieving academic honors with GPAs of 3.0 and higher. 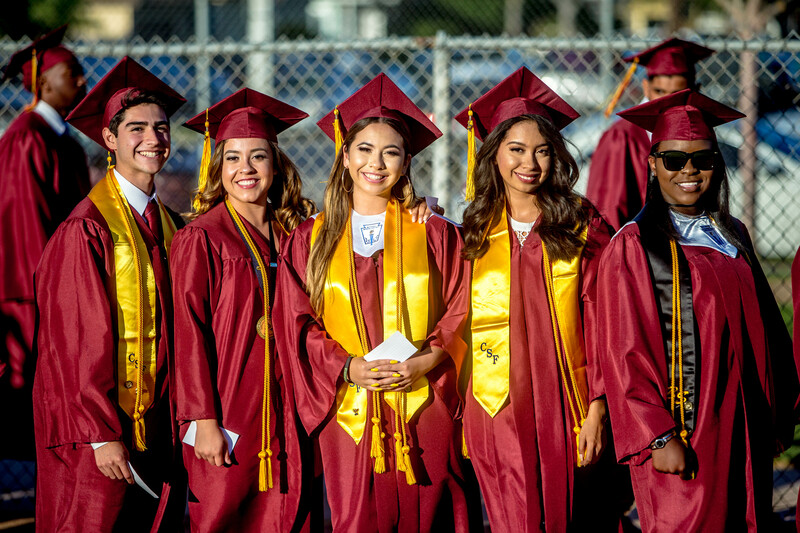 Bellflower High School graduates celebrate their final moments on campus at Ron Yary Stadium during the June 14 commencement.